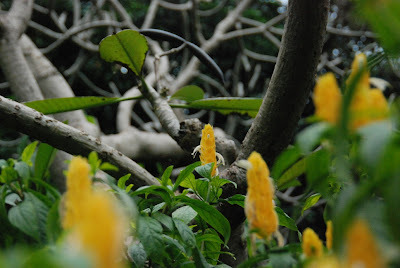 The Wah and I spent Sunday afternoon at the Planetarium and Botanical Gardens at Mt Coot-tha. It really was quite lovely, wandering around under the gathering grey clouds. I find that shade of yellow to be very pleasing to me at the moment. So glad you finally got that lens. I've been meaning to make a trip to the Planetarium myself. It's a pity that this full solar eclipse that's happening on the 22nd of july will miss Australia, would have been great to see. The pic on the bottom turned out especially well. Nicely done! 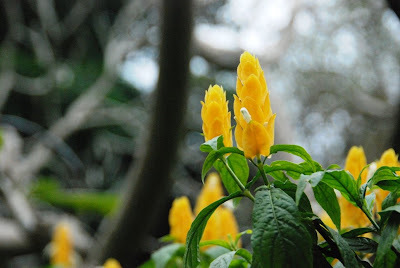 I like botanical gardens myself-odd, since I don't like planting and weeding all that much.